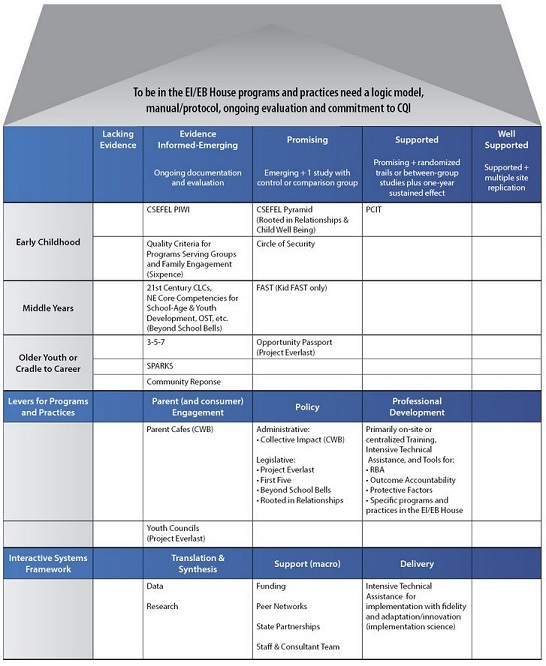 This collection of Evidence-Based Practices are currently at work in Nebraska Children's seven Child Well Being communities across the state. Whichever combination of EBPs a community is using, the goal is the same: to infuse families with powerful protective factors that prevent incidences of child abuse and neglect. Below, you will find the necessary evaluation tools to determine the presence and strength of protective factors before and after the implementation of Evidence-Based Practices. This list is representative, but not comprehensive.